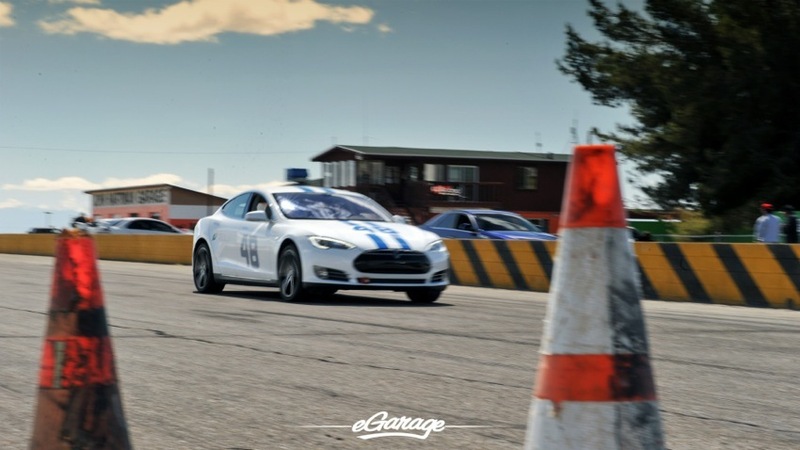 Our goal racing the Tesla MS is to prove that an electric car (Tesla in specific) can perform just as well as any gasoline powered car, if not better. 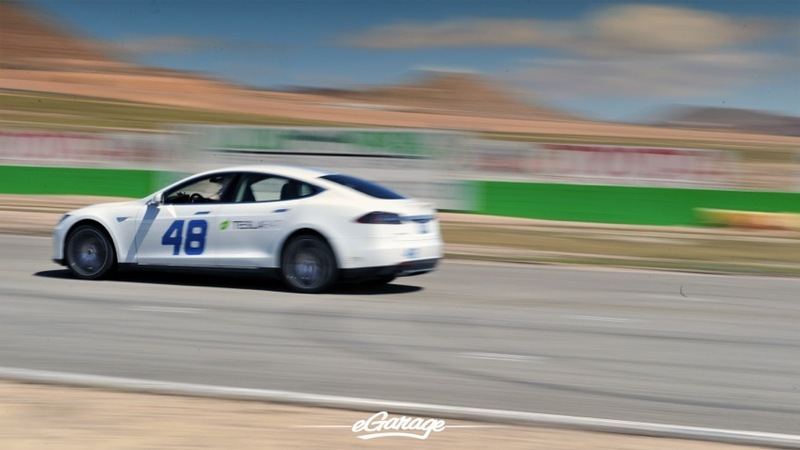 We’re able to drive to and from the track instead of being trailered, refuel by recharging in between sessions, be competitive with gasoline cars in the same class, and do this time after time with 100% reliability especially as there’s hardly any mechanical parts in a Tesla. 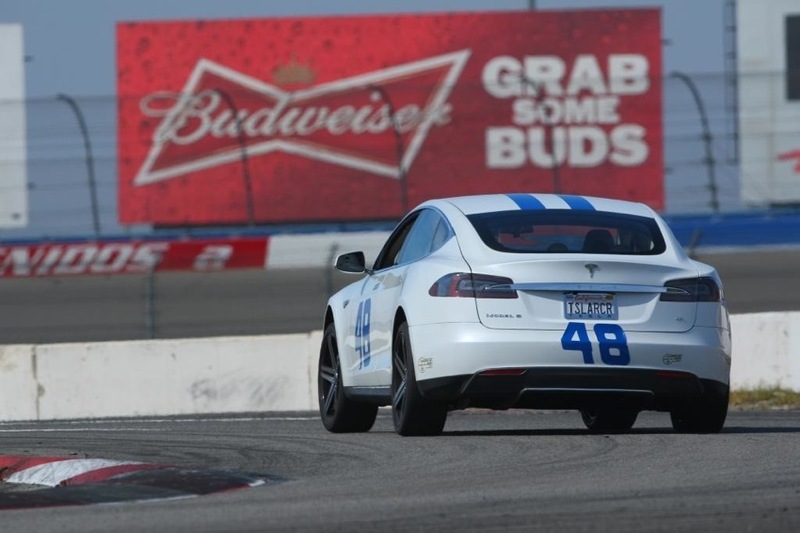 We want to inspire tuners, race organizations and large sanctioning bodies to invest more R&D + Marketing dollars to grow this new EV racing category which we wholeheartedly believe will replace its gas counterpart one day! The MS does exceptionally well for the first couple of laps while the battery is fresh and components are cool. It has fantastic acceleration, excellent handling and supercar style braking with no brake fade since regenerative braking handles a lot of the deceleration. We use 265/20 R1s which provides sufficient grip, but provides just enough drift to make for a very fun driving experience. 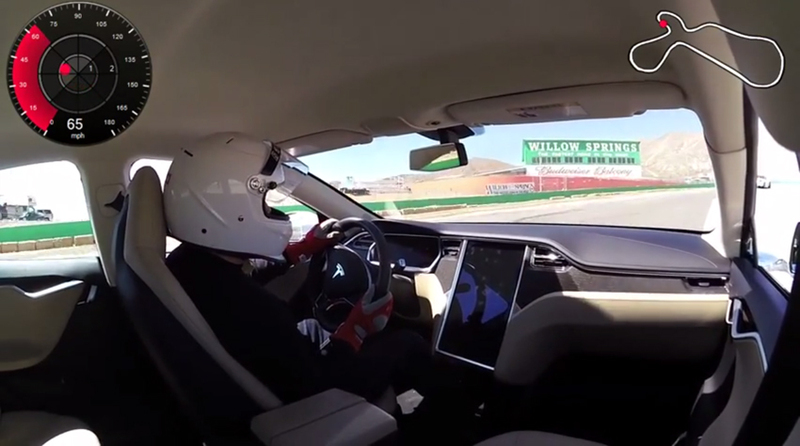 After a couple of laps, electronically controlled power limitation kicks in and cuts acceleration by x%, presumably as a way to guard against overheating of the electric motor. Due to the format of open track racing which is based on best lap times, we can stay competitive in the upper middle of the Intermediate group. 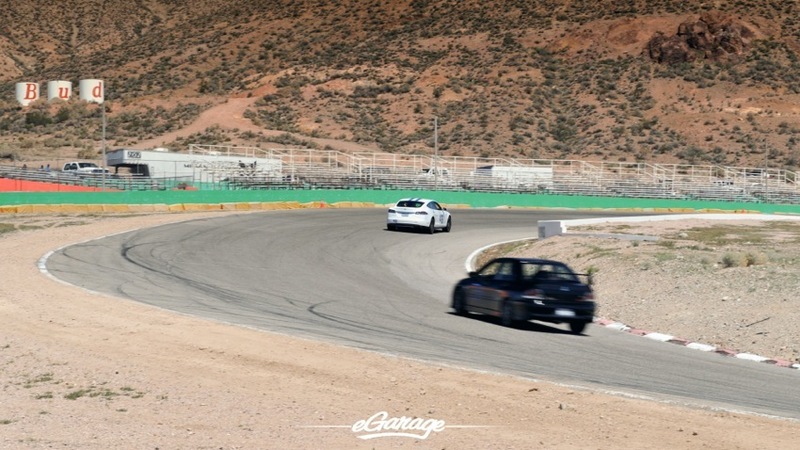 For example, at Willow Springs, our best lap time was 1:45, ranking #7 out of 26 cars in the group, with the fastest car being 1:38 and the slowest – 1:54. Once power limitation takes effect, the MS goes from being one of the fastest to one of the slowest cars on the track, losing as much as 10 seconds per lap. 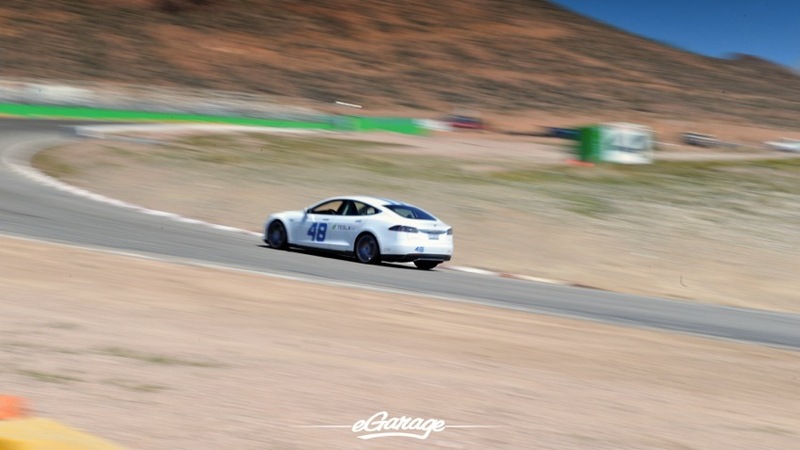 Sunday March 30th was our second time at Willow Springs Raceway. It’s been 3 months since our first time here, and in between we’ve raced on several other tracks, ButtonWillow, Chuckwalla, the Streets of Willow, and Fontana Auto Club Raceway. But none were as much fun as the Big Willow track. Power consumption and recharging is one of the biggest challenges. 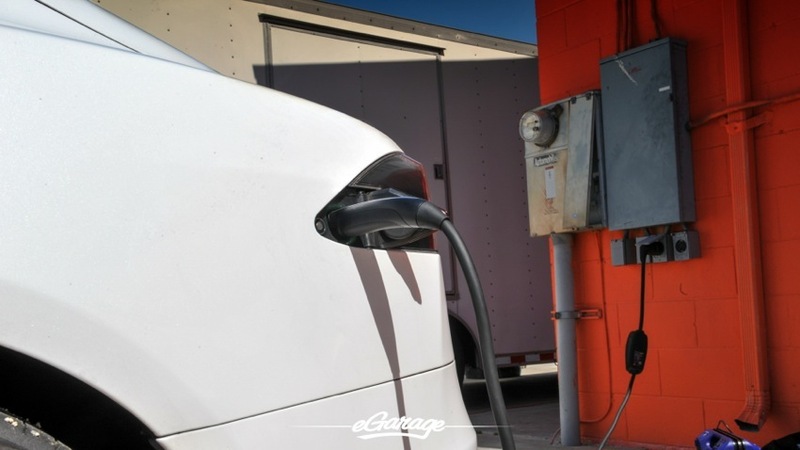 While the car has a range and relative power consumption similar to gasoline cars, “refilling” takes a lot longer since we’re forced to use a traditional 50 amp RV plug which charges 100x slower than the Tesla Supercharger. 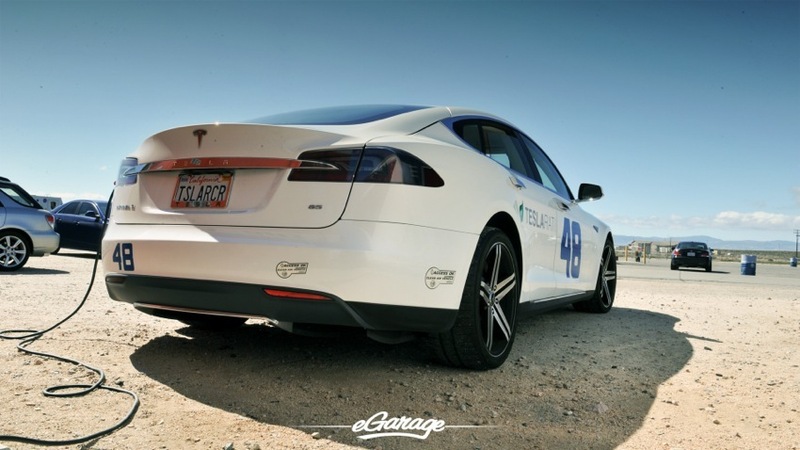 Clearly, this will no longer be an issue once EV racing becomes more mainstream and the battery charging / swapping technology and infrastructure evolves. The MS is rated for 260 miles of conservative driving, but on a track it eats about 4 rated miles of range per actual mile. 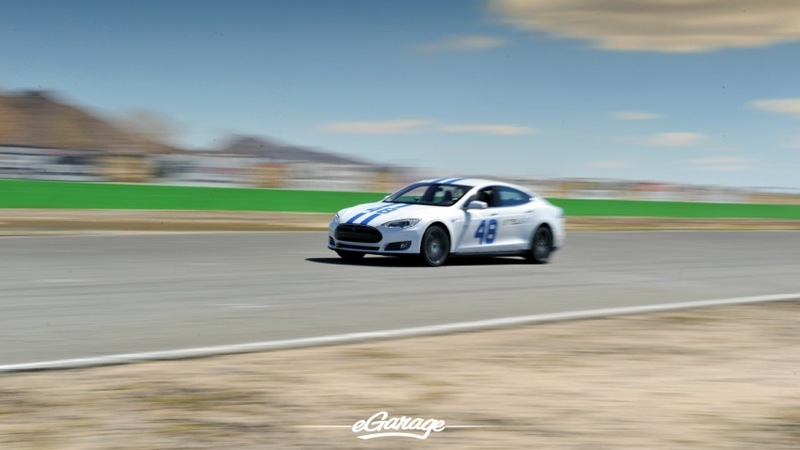 Meaning the effective range on a track is about 70 miles, which translates into 20 to 30 laps on a single charge. 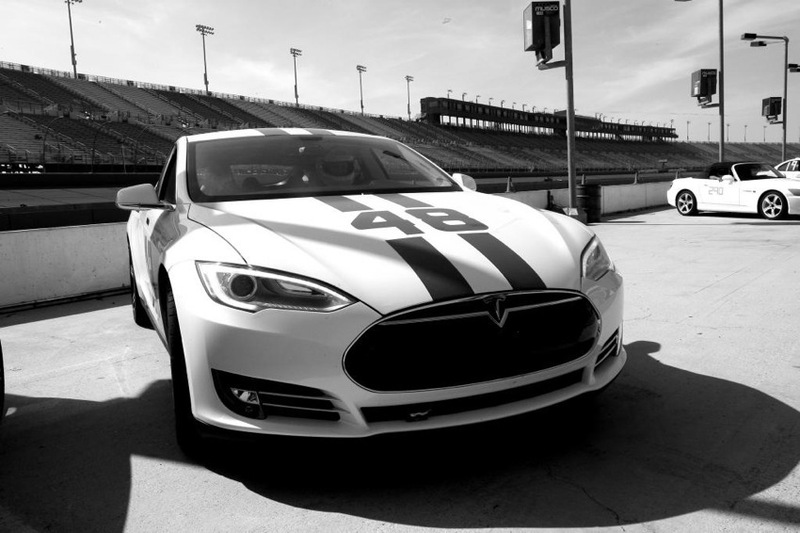 Recharging available at or near the tracks via 220v outlets is at about 28 miles per hour of charge, which can add 100 rated miles of range back, enough for 10 more laps. One of the best things about the Tesla compared to a gasoline car is that not a lot can break. Outside of tires and suspension, not a lot of stress is being put on the car. 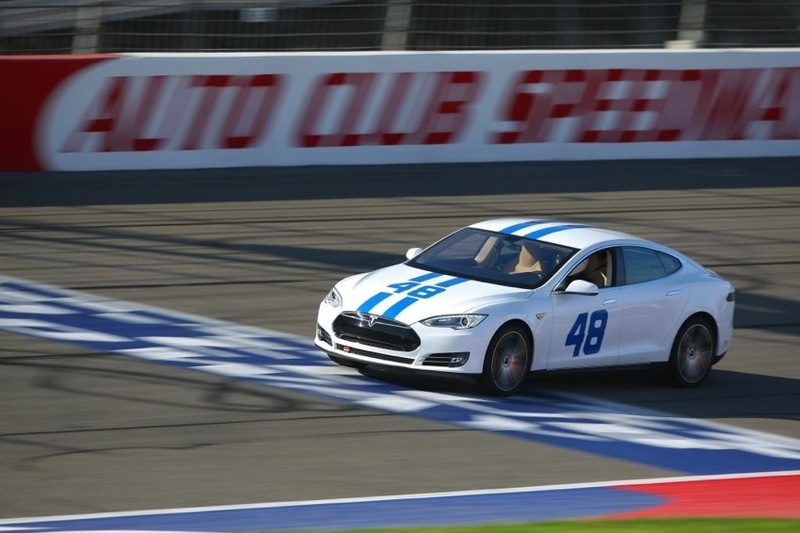 It does not have an engine or transmission which usually takes most of the beating in racing. Mechanical car components can overheat due to friction which the MS doesn’t have to worry too much about. However, the MS does require thermal management for both the battery and the drive train which it manages through software. As battery nano-technology becomes more advanced and produces less heat under draw and a more robust cooling system is in place for the electric motor, we wouldn’t be surprised if this 4600lb, 7 passenger sedan can compete with the best track-ready cars out there. Off the track, MS is one of the best cars one could wish for. Quiet and nimble, with plenty of horse power and torque, has one of best aerodynamic properties, the safest passenger car ever built, and quite simply a really fun car to drive. 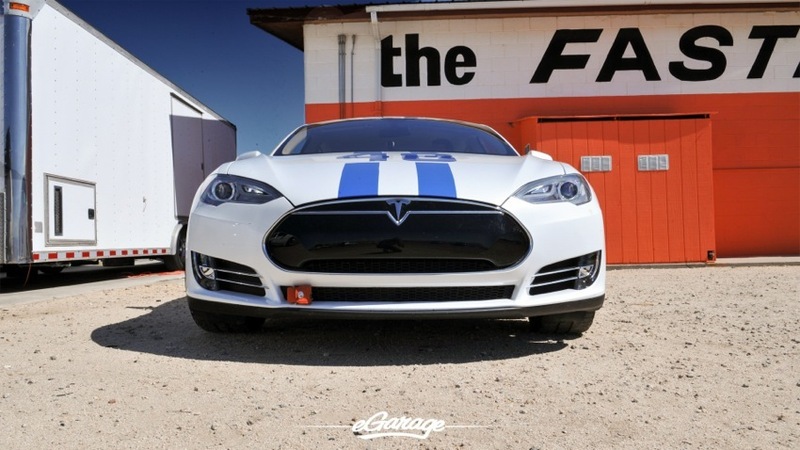 It’s purely electric and does not use gasoline. For the same amount of driving compared with my previous Mercedes car, $200 per month in gas translated into approximately $40 per month increase in the electric bill. On top of that you can use Tesla superchargers, which are free. 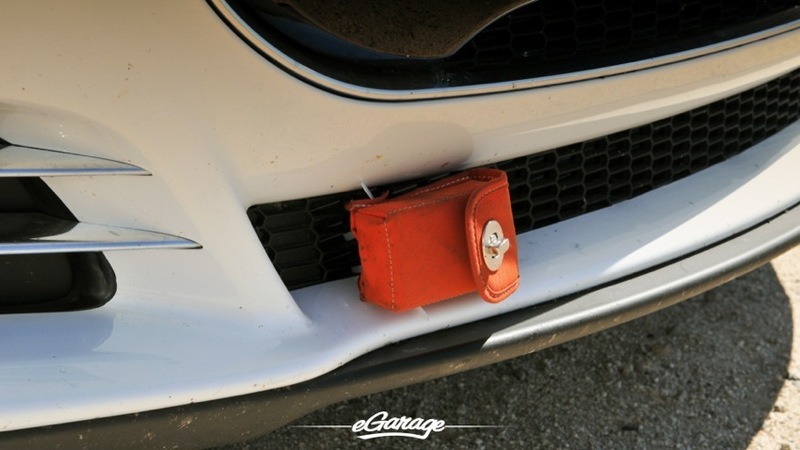 The car practically has no maintenance such as oil changes. 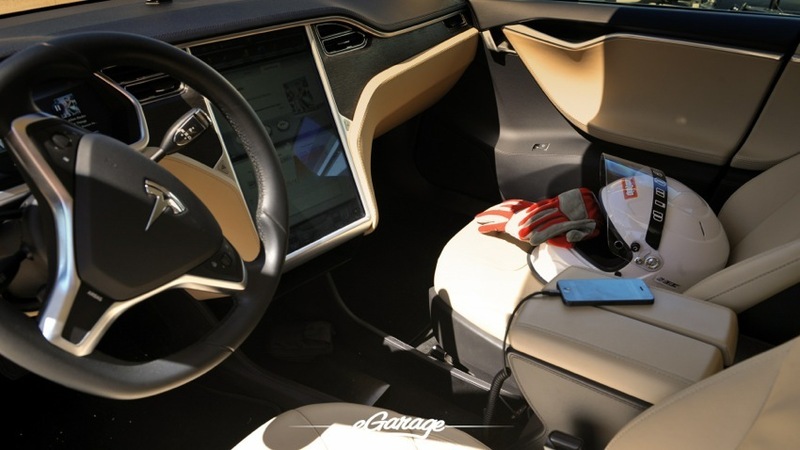 Much of the car is controlled via software, and many of the updates are downloaded over the air. I grew up as a motor head (Gene from Teslarati speaking) and have owned and raced cars ranging from Turbocharged E36 M3s, E90 M5, Porsche 996 GT3 to the latest R35 Nissan GTR. Despite having experienced some of the most awesome feats of engineering out there, the fundamentals behind it all was the same – gas burning, valve slapping, piston pumping, crank spinning power. It’s loud, it’s powerful … and dare I say, it’s an extension of a root that has grown for the last 100 years since the days of Henry Ford. There’s something completely remarkable when it comes to driving an electric vehicle and Tesla clearly leads in this category. It’s something that can only be described once you drive it. Exhilarating, inspiring, thought provoking, and you just feel good, both from a philosophical and physical standpoint, driving the car.